Add hot chili oil to any recipe that needs a kick. 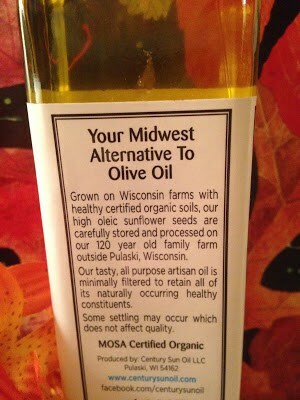 Sunflower Oil is your Midwest alternative to olive oil, grown on Wisconsin farms with healthy certified organic soils. 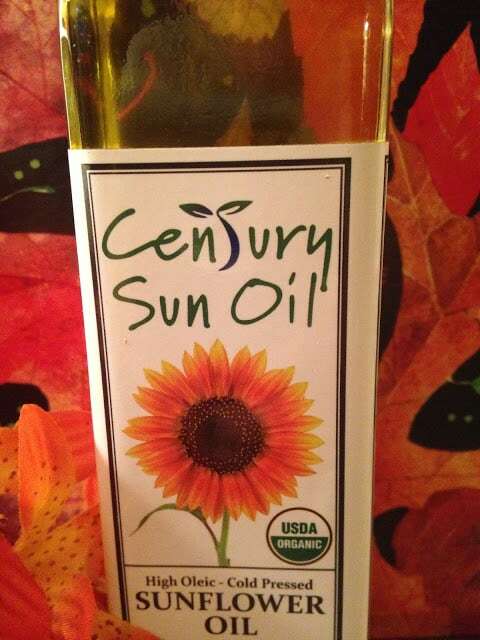 Century Sun Oil is made with high oleic sunflower seeds and carefully stored and cold-processed on a 120 year old family farm outside Pulaski, Wisconsin. Our tasty, all-purpose artisan oil is minimally filtered to retain all of its naturally occurring healthy constituents. USDA Organic. 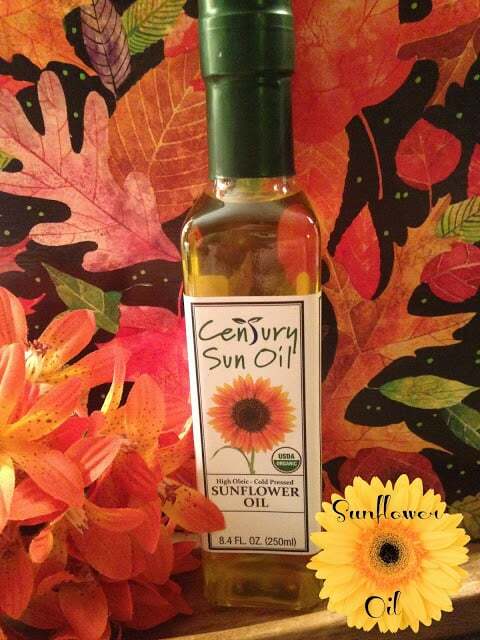 You can use this hot and spicy sunflower oil in any recipe that needs or you want to add some “heat.” Century Sunflower Oil is great as is too. For more information on Century Sun Oil This is not a Sponsored Post. Turnips 2 Tangerines is dedicated to passing along to our readers quality “food finds.” The smoky paprika gives the oil it’s beautiful orange color. Add all ingredients to a medium saucepan. Heat gently, (you do not want the oil to bubble or the chilies to burn,) for about an hour. Remove from the heat and allow to cool. 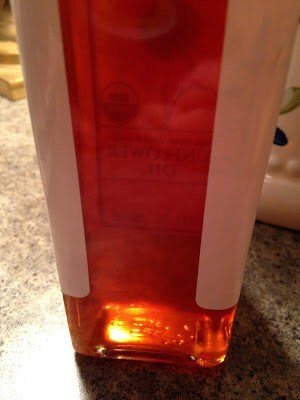 Strain oil through several thickness of cheesecloth, into a clean sterilized jar or back into the jar the oil came in. Store oil in the refrigerator.